Do You Remove Your Holster If You Can't Carry? 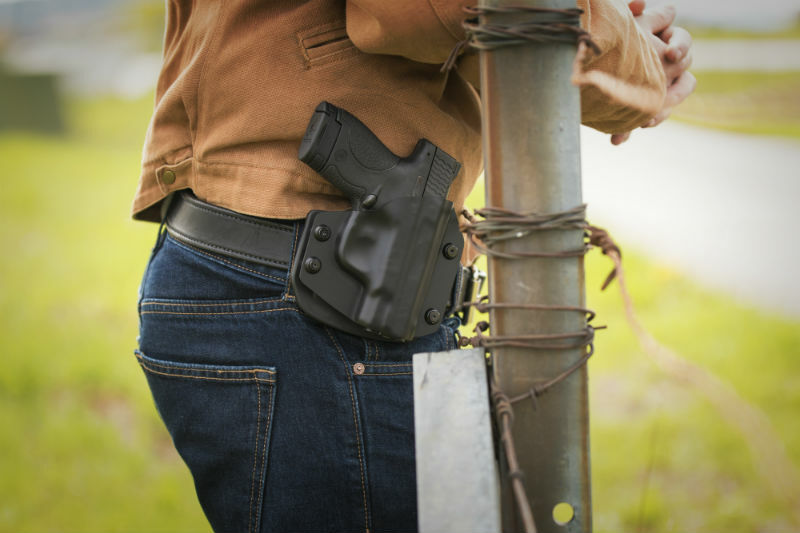 Should One Remove Their Holster If They Can't Carry A Gun? The everyday carrier is likely to encounter a situation where they can't carry a gun when they otherwise would be carrying. Clearly, removing one's pistol is going to be warranted, but what about the holster? For that matter, what about one's gun belt? Not everyone will want to wear a beefy strip of leather if they don't have to. 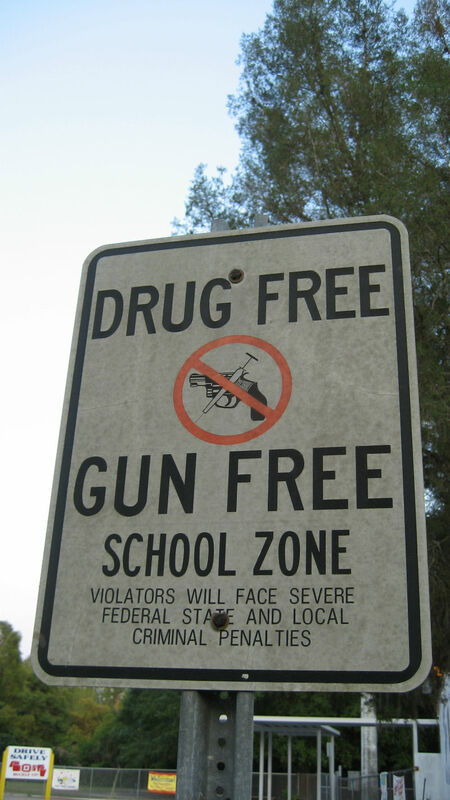 Most gun free zones are places that most people generally don't go to on a regular basis, with two exceptions: schools and post offices. The latter is deemed off-limits by federal regulation, the former is actually legal to carry in for permit holders as far as the feds are concerned. It's state laws that keep legal carry from happening in schools. Most of the time, the common procedure to use car storage of some sort. This could mean a portable lockbox or some other method of safe storage needs to be employed. Legal signage and the policies of one's employer can also dictate where a person may carry. Signage doesn't always carry the force of law, but if a person is discovered to be carrying where it isn't welcome, the establishment in question can asked said armed person to leave or have them prosecuted for trespassing. Likewise, not every employer allows carry in the workplace. The choice is to leave one's gun at home, in the car, or risk termination by concealing. The same goes for certain other locations, such as taverns, bars or restaurants that serve alcohol, depending on state regulation. Additionally, some events, such as concerts and sporting events, will effectively be gun-free by regulation in some states or by venue rules in others. Clearly, one has to remove one's gun...but what about one's holster? What about one's carry holster? Taking it off could be a bit of a production, and that's why a person will find this topic of discussion in concealed carry forums all over the internet. There are some people who don't bother taking the holster off; they just leave it on after storing their pistol and just go about their day. It isn't such a difficult proposition, after all. 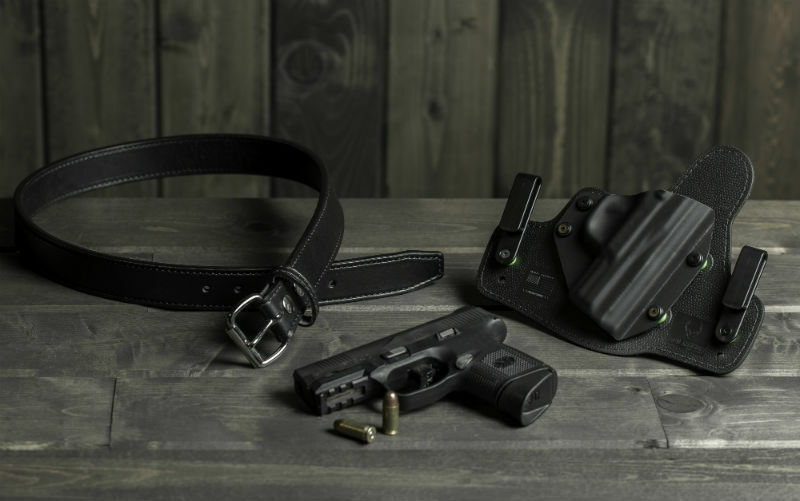 Many holsters are designed to be comfortable, such as high-riding OWB holsters or IWB holster designs that are engineered for greater comfort. Some holsters, once secured by a belt, are barely noticeable even WITH a pistol, let alone without one. However, why bother toting something around if you aren't going to use it? Doesn't make much sense to do so. It really is a personal choice, but it would seem easiest to take all of one's carry gear off if it won't be used. Furthermore, what if metal detectors are going to be present? For instance, sporting event and concert venues typically don't allow firearms. Some holsters have reinforcing metal inside them or metal clips. That means having to explain to some rent-a-cop why you have an empty holster on your side, which can be troublesome - especially if the security guard in question is the quarrelsome sort. 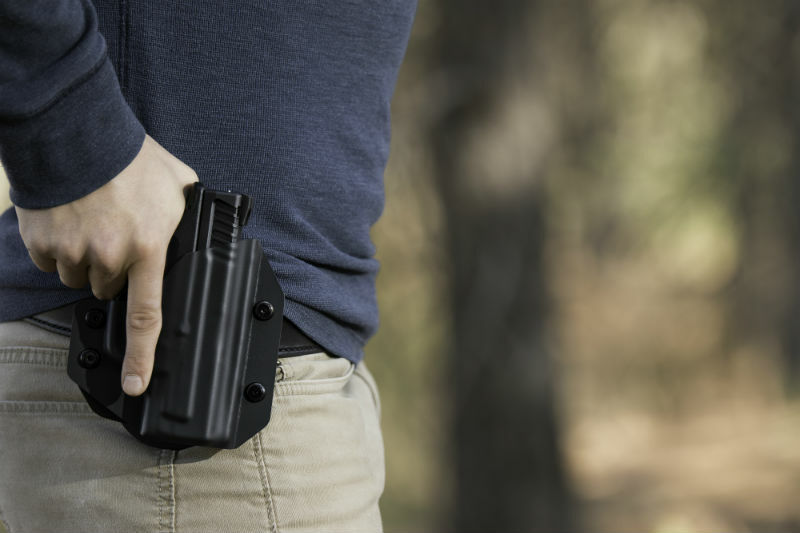 Ultimately, it's up to the individual carrier, but keeping the holster on may be either impractical or at least more trouble than it's worth.